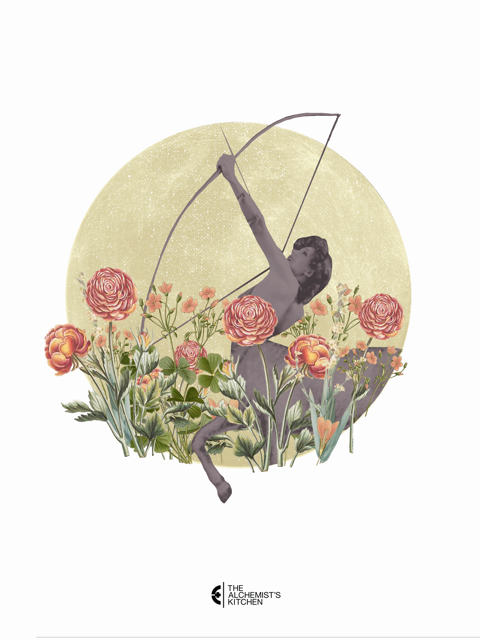 For this month’s Full Flower Moon, join Nicole Adriana Casanova and Siedeh Foxie for a revelation and visioning of healing with the medicine of the flowers. The full moon in May is known as the ‘Flower Moon.’ It signifies the blooming of flowers and those that bare their petals. In many practices found in civilizations of the past, flowers have often been revered for their ability to heal and uplift any surrounding through their presence and essence alone. The flowers offer medicine that work on the spiritual-etheric bodies and is one of the most natural ways we express feelings and heal through the power of plants. Participants will experience an ancient Inca Flower Ceremony—passed down by Quechuan elder, Tito La Rosa—where we will connect to the soul of universe through the building of an intentional flower mandala in meditation and prayer to raise our collective vibration. This ancient tradition of ceremony allows us to receive mental and emotional clarity, expand the intimate awareness of our hearts, and restore a sense of balance and harmony into our communities and the world. Nicole and Siedeh will guide the group to build the flower mandala by weaving intentions of gratitude, love, beauty, and joy. As the mandala grows with each offering, we invite outdated beliefs and personal narratives to be transmuted for new energy to emerge and align with the abundance in our lives. Nicole and Siedeh will perform a flower limpia(spiritual Cleansing) and blessing with each individual during the ceremony. Once the mandala is completed, each participant will have a moment with the mandala to choose flowers that express their becoming, working with them on their own to further receive its teachings. Nicole Adriana Casanova is a student if Maestro Manuel Rufino, Taino elder and founder of Golden Drum cultural center in Brooklyn, New York. Nicole is a writer, poet, and storyteller, a 200 RYT Yoga Alliance certified Yoga and Meditation Teacher, a certified Reiki Master in the Usui and Karuna Reiki Riojo, a Shamanic Practitioner, a Human Movement teacher, and Magical Awakening Practitioner. Nicole blends decades of expertise in the wellness and holistic field to create one of a kind empowerment experiences in groups as well as one-on-one settings. As a Soul Architect, Nicole bridges practices and teachings from various wisdom traditions around the world, with intuitive knowledge and practical know how to create one of a kind blueprints of empowerment, healing, and remembrance.